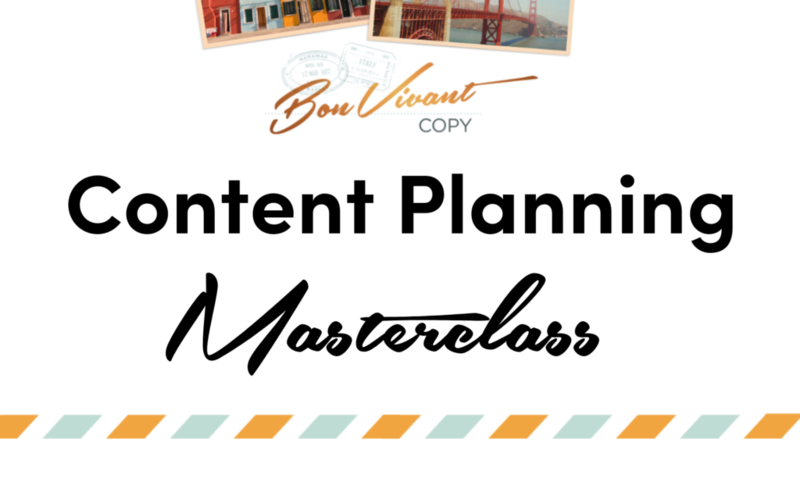 Shop Bon Vivant Copy’s courses and templates to get your marketing in top shape, DIY style. A step-by-step guide to effortlessly planning your client-attracting content for the next 3 months. 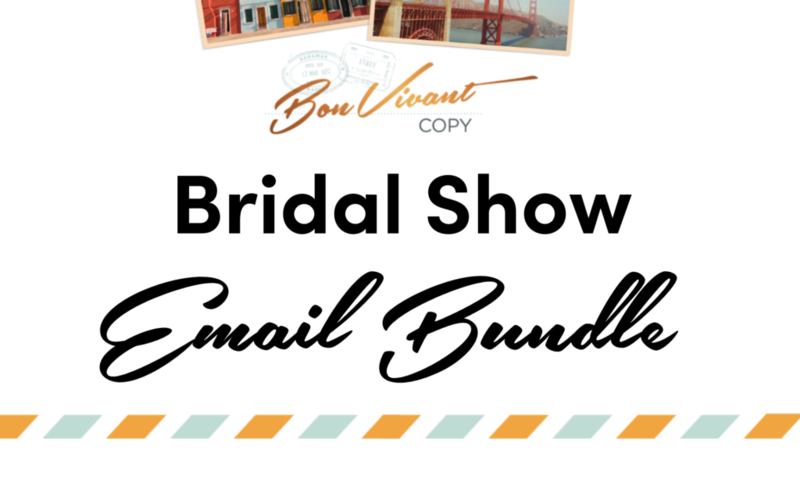 6 done-for-you emails to convert your new bridal show leads into real, live travel clients. 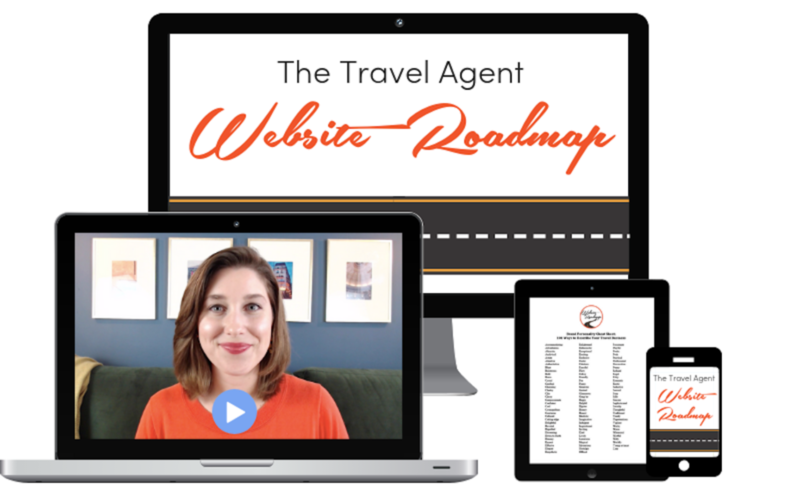 BVC’s signature 5-week course that walks you through how to write the most important pages of your website.